As the dust continues to rain down on the football world from the recent IFAF World Congress, alongside the remaining confetti of the US victory over Japan in the final, many people are still confused by the events that took place on July 17th and the reasons behind them. As reported by American Football International and confirmed by IFAF in a recent statement, a considerable portion of the international representatives attending the Congress (led by outgoing president, Tommy Wiking) staged a walkout protest in order to hop across the hotel to stage their own kangaroo court-style elections, backed by an allied controller of the IFAF Twitter account. Despite the continuing confusion over the matter, one thing has been noticed – these rains have been seen before. During the course of this year, FIFA has been increasingly scrutinized over its behavior through allegations of corruption and bribery that is alleged to have been rife within the sport over the past 24 years. In an odd set of conjoined events, it seems as if some of those in IFAF's biggest chairs are mimicking that which is happening in the thrones of the soccer world. In May, an investigation was launched into FIFA corruption allegations, which saw several FIFA officials arrested and removed from the game, followed by retaliatory remarks by Russia to defend the current leadership, followed by a growing outcry from international member nations (of which the UK led the charge via Greg Dyke), followed by an apparent resignation from the top suspect, Sepp Blatter (which even now is under some confusion regarding the wording of his announcements). At the end of last year, IFAF President Tommy Wiking temporarily stepped away from his position, citing 'health reasons' amidst a darkening cloud of suspicion and accusation of corrupt activity (not to mention a separate arrest warrant linked to an embezzlement accusation). Following a significant amount of suspicion as to the real reasons behind the cancellation of the 2015 World Championships in Sweden, the event re-located to Canton, Ohio along with the IFAF World Congress, wherein members of 35 nations were expecting to take part in elections for a new IFAF president – only for 22 of them (including Wiking) to splinter from the event and run their own mini-congress. During this time, mock elections were staged with the 22 nations (Germany, Netherlands, Belgium, France, Ireland, Spain, Italy, Switzerland, Ukraine, Romania, Bulgaria, Greece, Turkey, Qatar, Kuwait, India, Thailand, Philippines, Guatemala, El Salvador, Honduras and Nicaragua) defying the official framework and “electing” the former president back into his chair along with several other new members to make up his team. All the while, ordinary members of the international football community were left in limbo, trying to work out which announcements were true – those from the official Facebook page or those from the official Twitter page. Ultimately, both stories still have a long way to play out, but with mirroring themes of corruption, financial allegations, leadership sovereignty & split loyalties it seems like both sports are due for a hard reset in the coming months or years – something which will undoubtedly hurt American Football far worse. 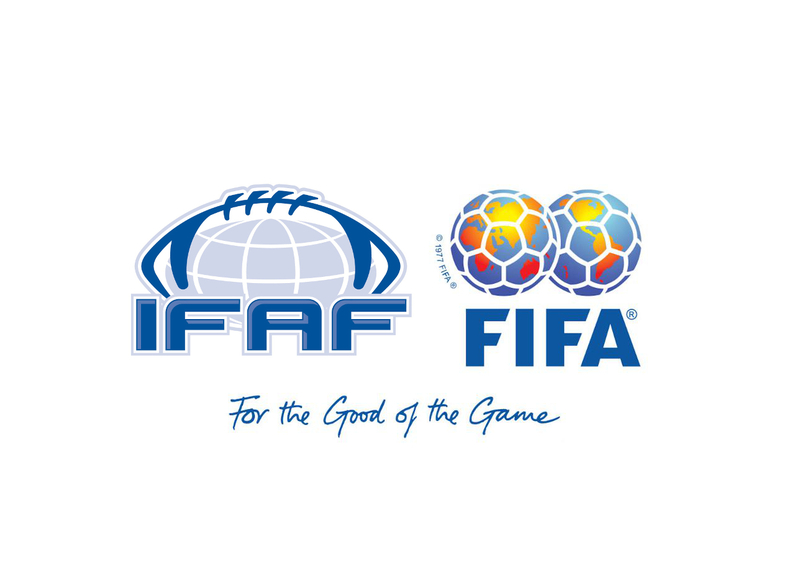 They say that mimicry is the highest form of flattery, but IFAF vs FIFA, it feels more like a case of “pick your poison”.